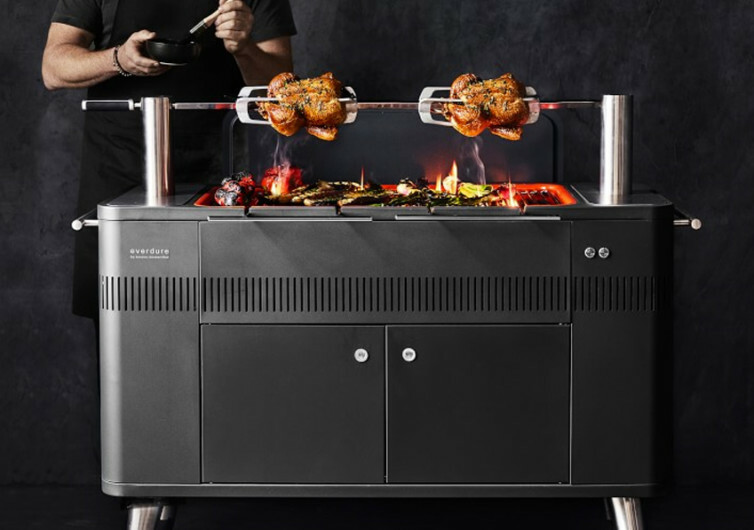 Michelin Starred chef Heston Blumenthal’s Everdure collection of backyard grills offer homemakers and modern dudes whose idea of the perfect weekend is spending all day grilling all of the foodstuffs that’s been sitting in the ref for so long. Marrying the time-tested tradition of direct-fire cooking with the advances in 21st-century cooking and grilling technology, Blumenthal’s The Hub is a perfect example of how ingenious and functional a kitchen gadget can be if it is designed by the same people who truly understand what is needed. 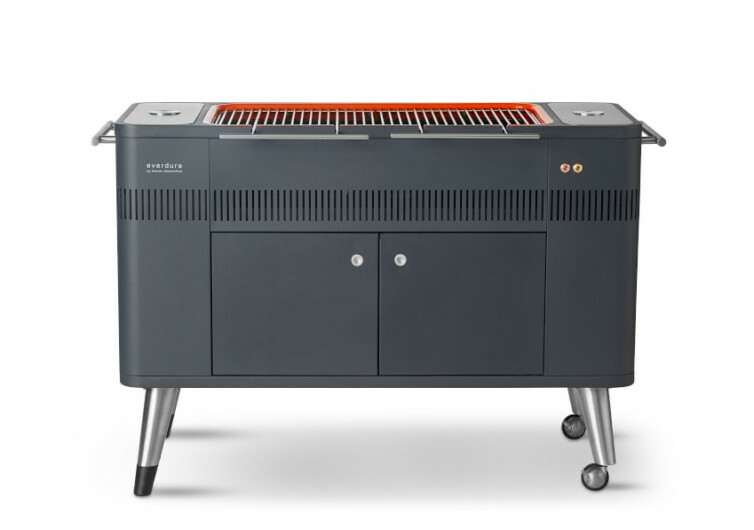 The Hub features a sturdy, durable, and heavy-duty firebox and griller frame that is intended to be a permanent aesthetic picture in your garden or even at the picnic grounds if you do decide to bring it with you. 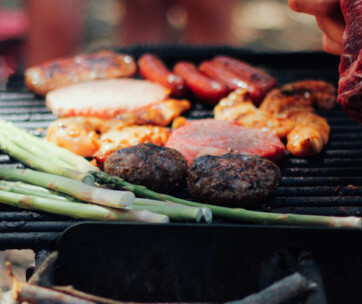 Grilling on the Hub starts with a simple click on the fire starter, instantaneously heating the electric element, and causing the batch of charcoal to start turning a deep red to bright orange-yellowish glow. 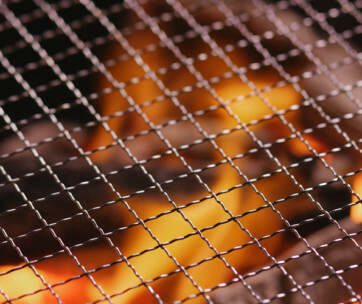 Within 10 minutes, you’ve got a flaming hot grill, perfect for searing all cuts of steaks, fish, chicken, and what-have-you. It even comes with a commercial-grade rotisserie fully capable of roasting a whole pig which should be more than enough to feed an entire clan of hungry carnivores. 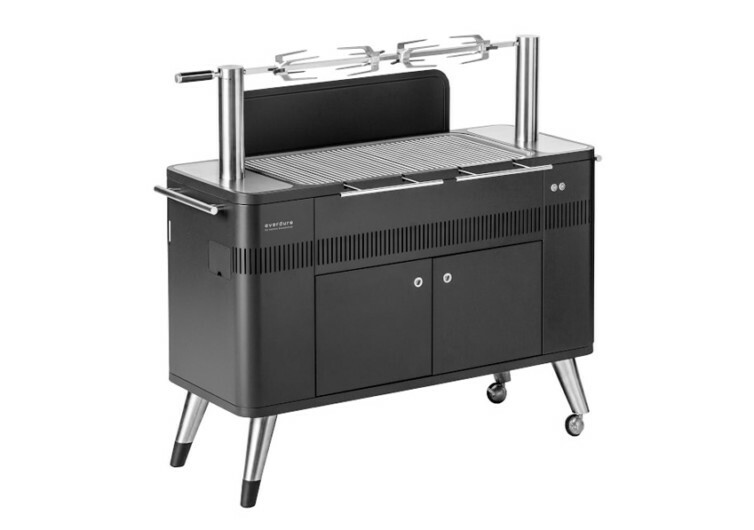 The chrome grills are designed to be easily lifted for ease of charcoal refill. Not to worry though as it comes with stay-cool handles that saves you from first-degree burns on your finger pads and palms. 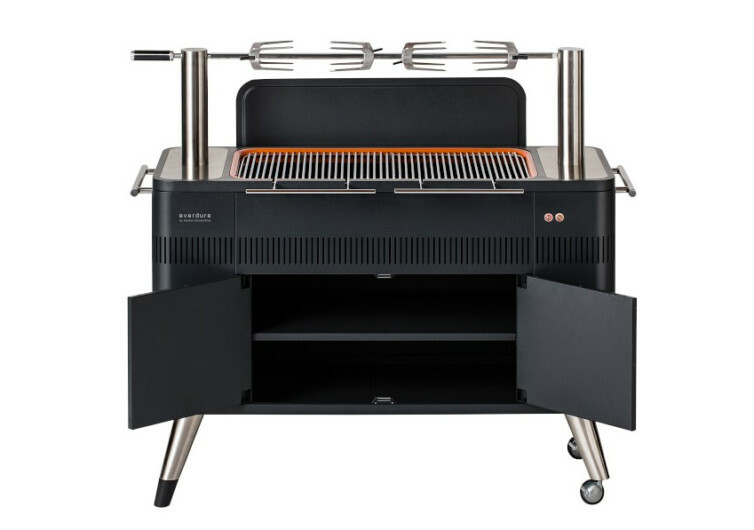 Underneath the griller is two shelves of remarkable storage ingenuity, perfect for storing your condiments, secret spices, or even that bottle of beer or two to keep you company during the whole grilling process. 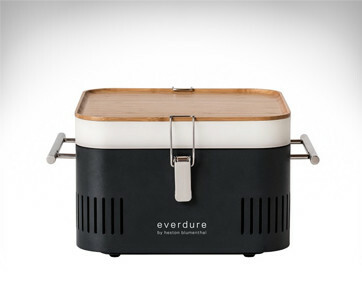 The Everdure Hub will not turn everyone into the next Blumenthal, but it sure can make a master griller out of anyone.